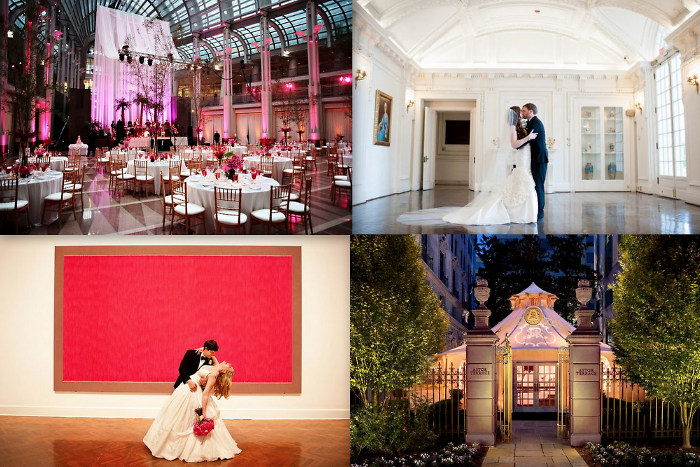 8 DC Wedding Venues To Say 'I Do' To! Living in a fabulous city like D.C. gives brides-to-be the opportunity to avoid the run-of-the-mill wedding venues while still hosting the big day on their homefront. Museums, five-star hotels and government buildings provide the perfect and historical back drop for chic wedding photos and the night you've been incessantly planning since the engagement your 7th birthday. These 8 venues are our favorites in the city. Click through to see why and find some inspiration for your Pinterest boards (because we know you have one! ).